In a recent study by the American Bar 58% of procurement departments noted that they had been involved in purchasing legal services for three or more years. More than half the respondents were Fortune 1000 companies and about a third were Fortune 100. Despite this trend most legal work is neither panel-based nor subject to competitive reverse-auction processes. In fact, back in 2007 McKinsey Quarterly ran an article titled “Inventing the 21st Century Purchasing Organization.” They noted that businesses had woken up to the cost benefits of strategic sourcing and intelligent supply and management. It is my prediction that with the massive oversupply of law students and as more lawyers move out of the profession into traditionally non-aligned areas our age will see a large rise in the need for law firms to become highly competitive. The American Bar reported an interview with the Chief Procurement Officer of a large company. He stated that “if you know your business, you should know how long something takes and how much something should cost”. He had worked in the nuclear power industry and thought that building nuclear power plants was a lot more complex than litigation. Understandable, although I should add that in most industries (Defence excluded) there is no one on the other side conspiring to destroy your plans. Needless to say, he has a point. Most law firms track costs but they don’t track work. They track bills but they don’t track customer value. Legal work suffers from a dire lack of transparency largely because it doesn’t need to. In the legal profession it does no one any good to try and commoditise their work. However, that’s exactly what needs to happen. In many areas the rise of the paralegal (e.g. conveyancing) has been aimed at increasing profit margin internally rather than increasing customer value externally. In order to increase customer value to corporate clients law firms must integrate their services with the company’s business lifecyle. When this occurs the results will likely decrease total legal spending per project but they will likely increase the total number of projects using external legal assistance. Why? for the same reason iTunes didn’t decrease the per capita spend of teenagers on music. Integrate with their life style. Give them more opportunities to spend. With a clear idea of the value external counsel can offer on a specific deal or project and the ability to keep the legal spend down it is likely that managers will seek to use that new found power to cover themselves rather than have their own accounts and reputations wear the risk. The effect on total law firm revenue should be negligible but the effect on law firm structure should be striking. As the commercial legal sector strives to accommodate the need for increased throughput there will likely be a greater emphasis on workflow and process. The graph above outlines (in red) the traditional legal spend. Very high costs being injected at pre-determined points of the business lifecycle. This does not take into consideration all the costs which are incurred from failed contracts and poor contract management. The blue graph outlines the standard curve from contract management expenses. Current contract management professionals are involved earlier in the business lifecycle. Where problems arise of specialist legal expertise is involved then external counsel are involved. Gartner note that in 75% of the contracts they review they find hard dollar savings. As markets develop and try to develop new revenue models through licensing options and new pricing structures it is vital that the operational parts of the business remain up to speed. Law firms are very important and they are not going away. The depth of knowledge they provide and the expertise in navigating transactions, deals and disputes cannot be delivered through new software. 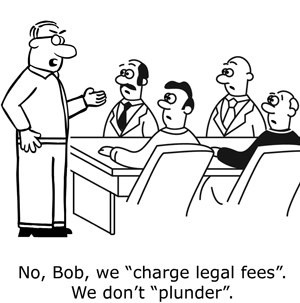 The trick, however, is to maximise the value for money from law firms. The best way to achieve value for money is to ensure that detailed legal advice or drafting is injected at the precise point of value from the most valuable person and this is where intelligent procurement will have the most impact. Most importantly, legal advice and transactional support is not operational. There are very few lawyers in very few sectors who have operational awareness let alone operational experience. This is where professional contract managers can have the most impact. By detecting risk in the subtleties and complexities of operational and technical minutiae contracts professionals can have a huge impact. The company is likely to spend less on legals as well as making it a far wiser and effective spend than now. What does this say about contract management today? Contract management is by and large an ineffectual and redundant function. Sandwiched between project management, operations and legal – and adding little value to any of them – one has to ask what the point is? What does effective, integrated contract management look like? It would mean that once operational problems were detected and identified then analysed the contract managers would be able to determine the precise level of legal exposure. This would require the contract management function to be able to analyse financial, operational and technical issues within contracts and assess them for validity, severity and impact (including probability). The contract managers are then empowered to assist the business to deal with these problems. This is not the contracts and commercial departments of today. The contract management function described above requires a variety of monitoring systems: From the top down, the business needs to analyse cost structures and EBIT for risks before variances arise. From the bottom up, the CRM systems need to percolate a wide variety of issues which line managers can analyse for veracity, velocity and trend. Identifying issues as potential contract problems is NOT the job of most line managers. The contract professional has that job with the assistance of the program manager/account manager but acting together in an integrated business lifecycle a modern contract management function has the ability to reduce risks and legal spend significantly.